The Covenant Health Knoxville Marathon has announced the winners of its first photo contest. "Best of Show," the contest's top honor, was awarded to Elizabeth Briere of Decatur, Ga.
KNOXVILLE -- The Covenant Health Knoxville Marathon has announced the winners of its first photo contest. 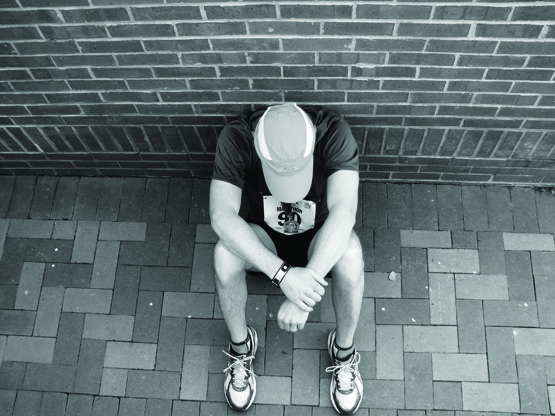 "Best of Show," the contest's top honor, was awarded to Elizabeth Briere of Decatur, Ga. who snapped a dramatic black-and-white photograph of her husband resting against a brick wall, in quiet repose after finishing the 26.2-mile marathon. More than 130 entries were received and offered a variety of unique perspectives of the event. The contest was offered to amateur photographers and entries had to feature subjects relating to the April 1 Covenant Health Knoxville Marathon races or the March 31 Covenant Kids Run. Four other photographers, all from Tennessee, were also selected as contest winners: Gary Cunningham of Powell took first place; Christopher Jones of North Knoxville placed second; Christopher Hagood of Morristown placed third; and Chad Huskey of Sevierville earned Honorable Mention. The winning photographs can be viewed at www.covenanthealth.com/photocontest. The photo contest was sponsored by Thompson Photo Products. As the "Best of Show" honoree, Briere will receive a $100 Thompson Photo Products gift certificate, a framed copy of the winning photograph, and official marathon gear. Prizes will also be awarded to the runners-up. Judges for the contest were Knoxville News Sentinel photographer Saul Young, Thompson Photo Products owner Anne Thompson, Pete Garza Photography's Pete Garza, and Covenant Health Graphic Services' Lennie Robertson and David Smith. The Covenant Health Knoxville Marathon is a premier event in Knoxville. It is organized by the Knoxville Track Club.